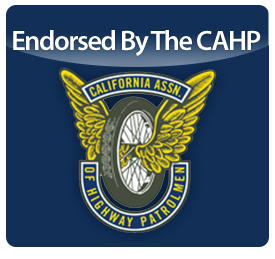 Jones Clifford is proud to be one of only three law firms officially endorsed by the California Association of Highway Patrolmen. We have more than 50 years of experience working with California Highway Patrol officers on matters involving workers’ compensation, personal injury and disability retirement. We are recommended by the CAHP for a simple reason, we understand the Patrol. We have worked closely with the Association for decades, participated in the training of Area Representatives, and worked with CHP Disability and Retirement. We understand how CalPERS interacts with workers’ compensation and can help you navigate the complex and confusing worlds of workers’ compensation and industrial disability retirements. When third-party lawsuits arise, we have represented injured officers in their civil claims against trucking companies and motorists. No other law firm has our history, expertise, and experience in representing members of the California Highway Patrol in workers’ compensation, disability retirement, and civil third-party lawsuits. You put your life on the line every day to protect the public. It is an honor to ensure you are taken care of when you are injured on or off the job. We are proud to have helped thousands of California Highway Patrolmen and their families over the years. We welcome the opportunity to do the same for you.